Kaushiki Sharma of R.D. Rajpal School, Dwarka wins 3 Gold Medals and Overall Championship at SGFI (School Games Federation of India) organized by CBSE at Belgaum, Karnataka. The pride of Delhi State and a student of R.D. Rajpal School, Dwarka, New Delhi, Kaushiki Sharma of class V stole the show at the games for school students at Belgaum, Karnataka, an annual event of SGFI, organized by CBSE. It was amazing to see the finesse with which the young athlete left fellow contestants way behind to win the gold medal in 200m Road Race. More in terms of rare achievement was in store for sport lovers when she made a clean sweep in 1000m Rink Race and went on to set a hatrick record by winning 300m Time Trial. Gold medals won in all the three events have helped to add to the glory of this young athlete. At the SGFI organized by CBSE at Remal Public School, Rohini, Kaushiki won four Gold medals in 300m Time Trial, 500m Rink Race, 1000m Rink Race and 2000m Road Race. On the basis of this unbeatable performance, she was selected to represent Delhi State at Belgaum, Karnataka, where she became the overall champion. Kaushiki has won many Gold, Silver and Bronze Medals in Delhi State, CBSE North Zone, CBSE National, and SGFI events. At the CBSE North Zone Athletic Meet, she again won Gold medals in 300m Time Trial and 1000m Rink Race. 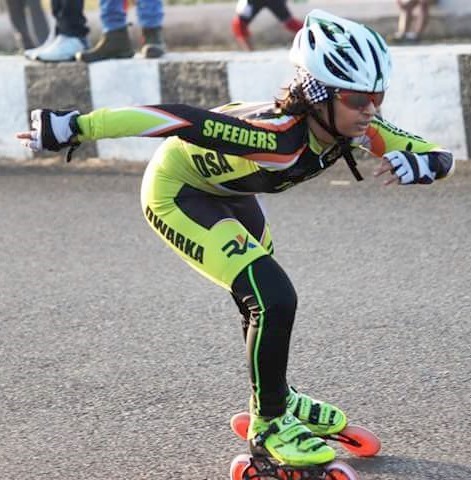 At the 42nd Delhi State Skating Championship at Rajiv Gandhi Stadium, Bawana, Kaushiki finished 300m Time Trial, 1000m Rink Race and 500m Road Race all of which saw her as the Gold Medal winner. 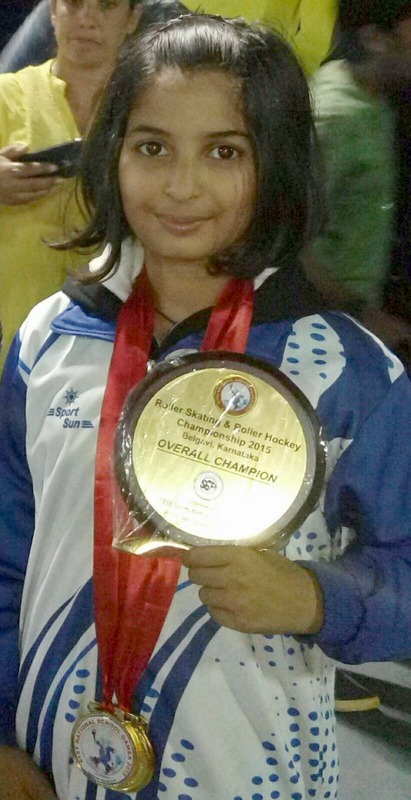 She has been qualified for RSFI (Roller Skating Federation of India) National Games at Pune and the CBSE National Games at Vadodara, both to be held in January, 2016. National Youth Day Celebrations on 29th Jan.